Of course the Hotel should be in a good lactation, the rooms should be nice and clean and a pool would be nice as well. We were spending so much time looking for Hotels on booking.com without finding something great. Airbnb came back into our mind and we checked if we can find something cool. 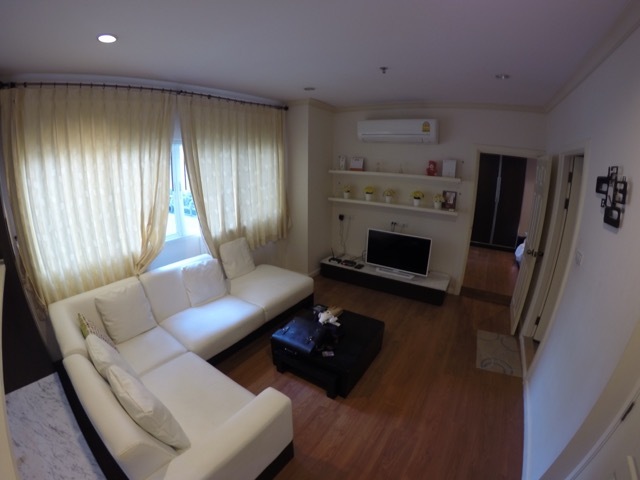 While we were scrolling through the app for Airbnb Bangkok and we found a very nice looking apartment. It is in the perfect location, with a 45 squaremeter size and a pool on the roof top. Everything sounded amazing and the little flat had all we could wish for. It was the best accommodation for us in Bangkok! 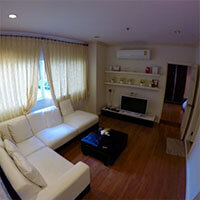 So we went there, met the lovely owner Milk for checkin and spent 3 great days in this nice Airbnb apartment Bangkok. 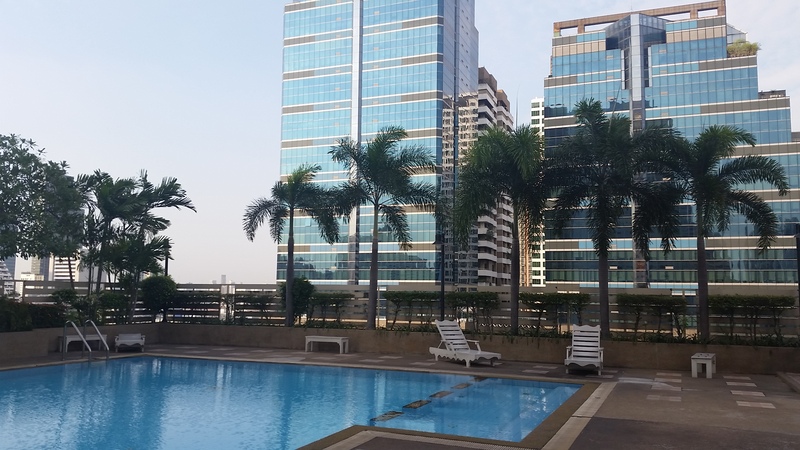 It is in downtown Bangkok, really close to the BTS and to the Terminal 21 shopping mall. It is the perfect location: a few steps to good restaurants, bars and cafés, only a few minutes walk to go shopping, 5 – 10 minutes drive to Siam Center, MBK, Pratunam Market, etc. It could not be better! The 45m2 apartment is on the 11th floor of a really nice and safe condo. It has a huge living room with a kitchen with a table and 2 chairs, a big relax sofa, TV and everything you need. 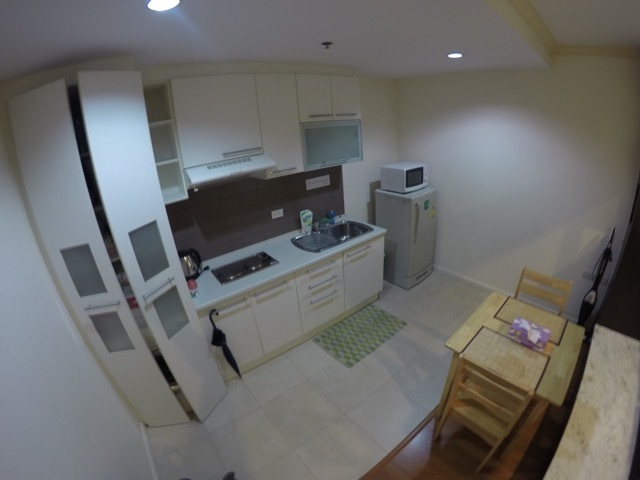 You can also wash your clothes in the washer there, which is perfect for backpackers! 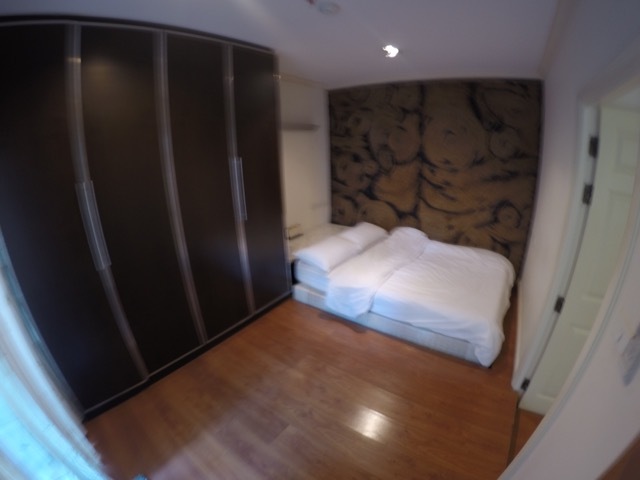 In the second room is the comfortable bed, which is good for 2 people and a balcony. The condo has a really nice pool on the 11th floor as well and there is a fitness studio in the condo. In the gound floor is a little shopping mall with a lot of restaurants and cafés. You can find thai, korean, japanese, italian food around without walking more than 2 minutes. 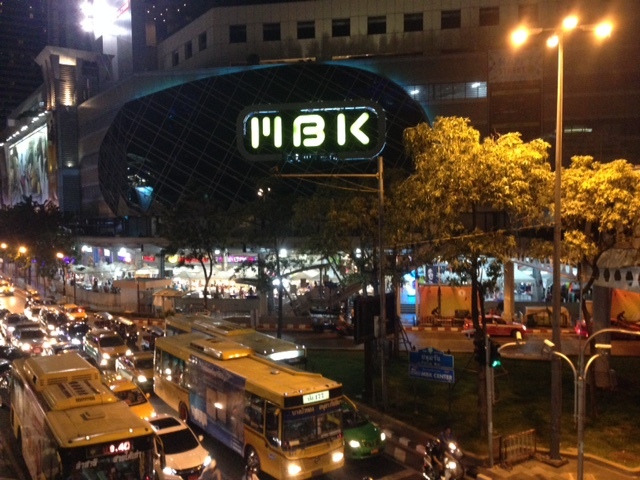 We walked about 5 minutes to the BTS station Asoke, from where we could go everywhere by skytrain for a few baht. Milk, the owner of the apartment is such a lovely woman. Finally we met her for the check in and she showed us everything in the condo and the flat and explained what we needed to know. We were talking for half and hour and had a good time with her! She also has a tourist office and does private tours. So if you are planning to see Bangkok with a local, Milk is the perfect girl to do that! Talk to her what you want to see and do, and she will plan an individual and unforgettable trip for you! The price is 32Euro a night. I think that is very cheap for what you get! Because accommodations are usually so much bigger than a hotel room, we really love Airbnbs. It is also cheaper and you are not in the touristy areas, where they charge you more for everything. Besides that it is very nice to meet the Airbnb apartment owners, who are normally locals and can give you good advise for sightseeing, shopping and restaurants. 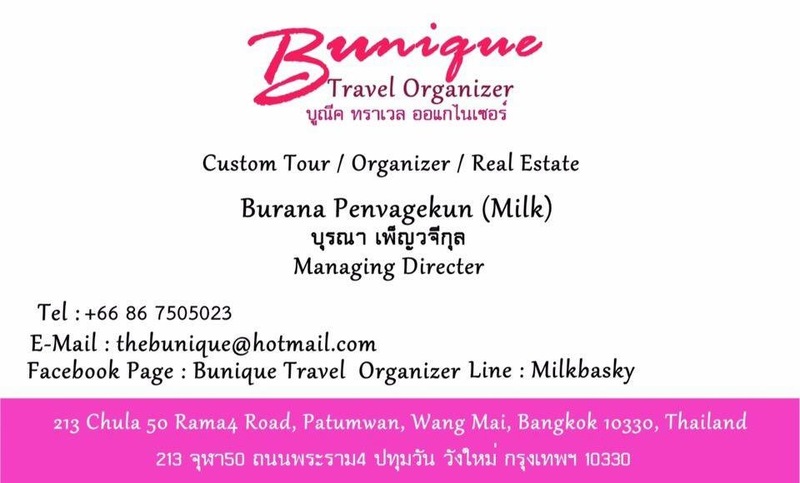 So contact Milk to stay at her amazing apartment – the best accommodation in Bangkok or plan a tour with her!